Every year in Edinburgh I look forward to the Christmas Markets. The first time I ever came to visit Luke here at university before I moved here full time myself, it was Christmas. Leaving Waverley train station and walking out into the glittering lights and warm glow of the Christmas Markets is a fond memory I’ll always treasure. Being fortunate to live in such a beautiful city all year round, it only gets better at Christmas time. 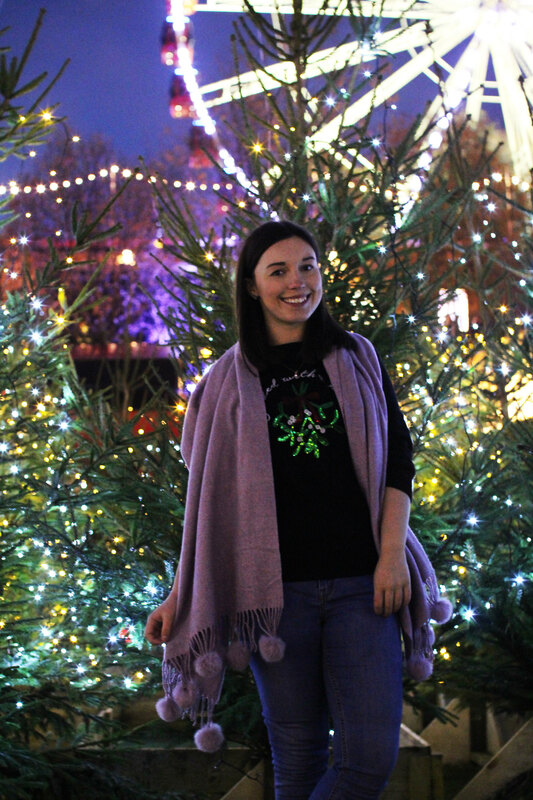 From the Christmas Markets to the light switch on and classic decorations on The Dome, it’s hard not to fall in love with the city. 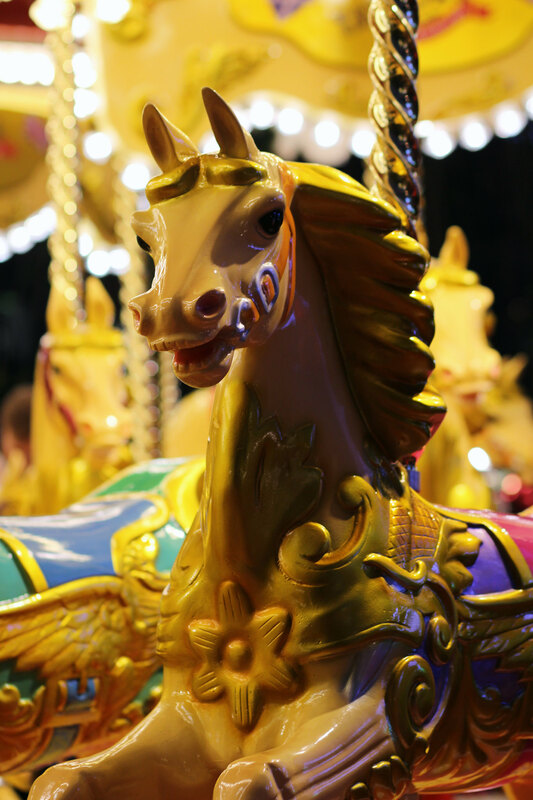 With the main portion of the Christmas Market on Princes Street, you’ll also find additional rides behind the stalls by the Scot Monument, and in St. Andrews Square. 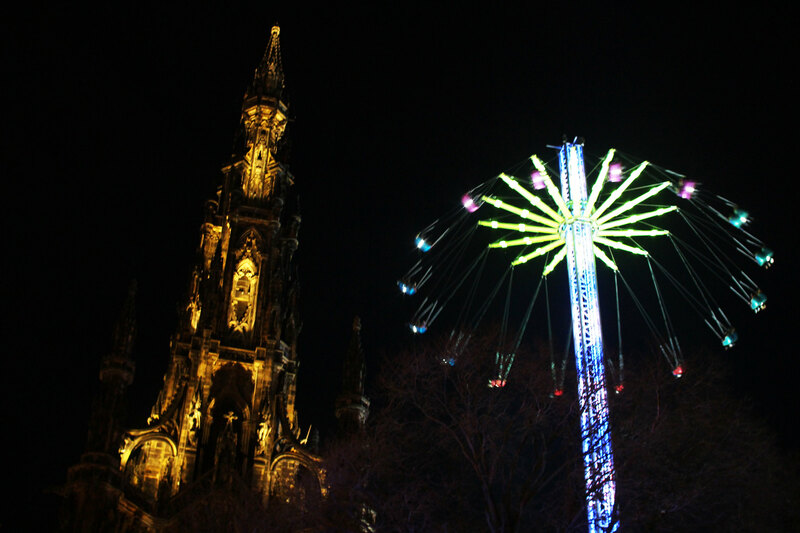 Most noticeable on Princes Street is both the ferris wheel and the star flyer. Though not for the faint hearted if you’re afraid of heights! 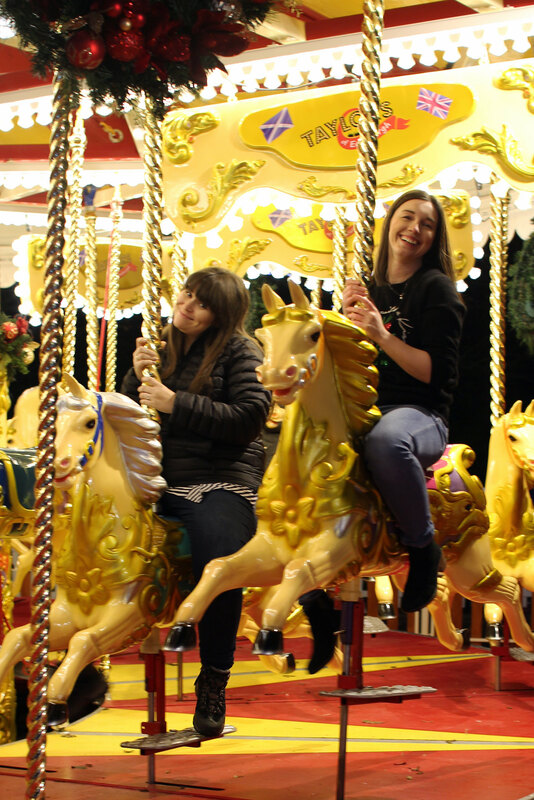 Opting for something a little closer to the ground, we played big kids for the evening and hopped on the carousel, and took a glittery wander through the Christmas tree maze. 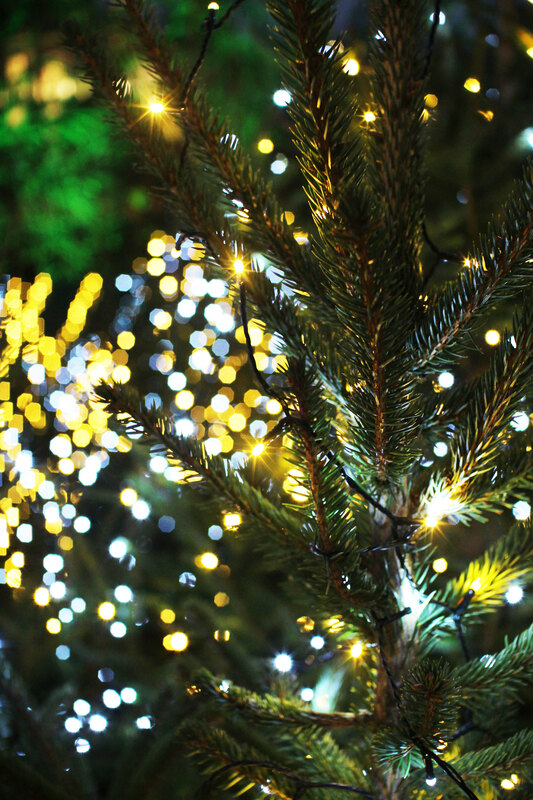 Head to St. Andrews Square to ice skate around the monument, stop off for a mulled wine at the bar in the middle when you’ve finished your skate. 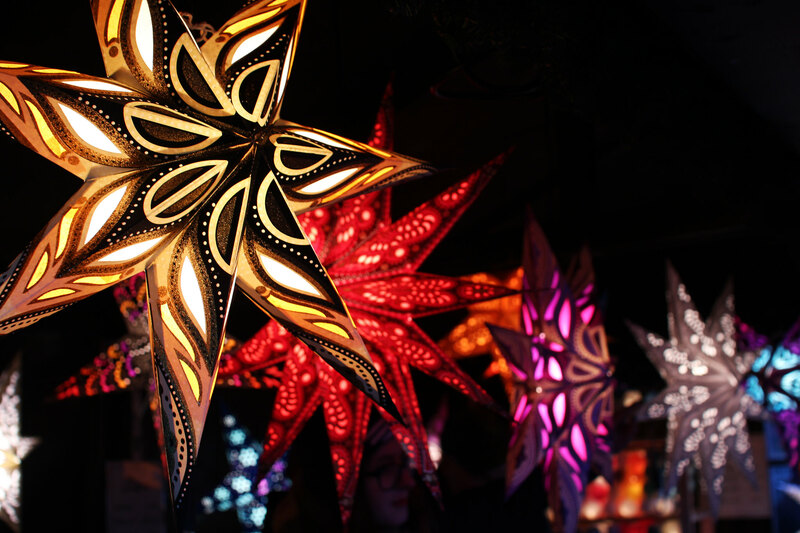 Although I often find that Christmas Markets all over the UK tend to have similar stock, the market stalls are still worth a visit all the same. 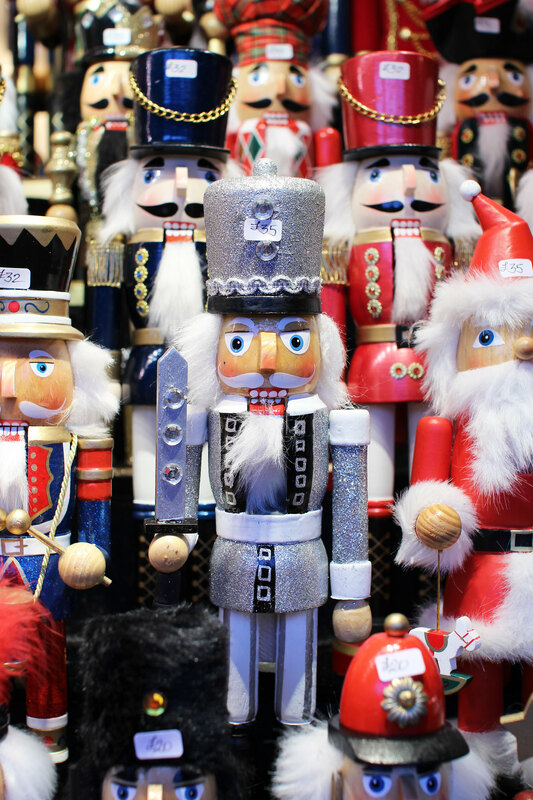 Here you’ll find the likes of handmade nutcrackers and wooden soldiers, glittering gold delicate mobiles, and festive crafts, perfect for presents. Head on a week day to beat the crowds, as weekends can be particularly busy. If you are visiting on a weekend, going earlier in the day or evening would give you more space to look around. 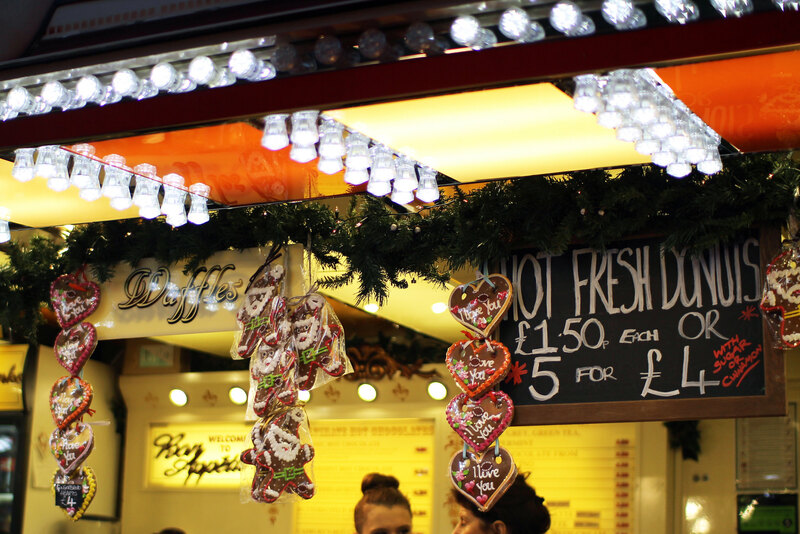 One of the best things about Christmas Markets is the food stalls. Instantly you’ll come across the un-missable German sausage stall, where you can enjoy my personal favourite - a curry bratwurst. 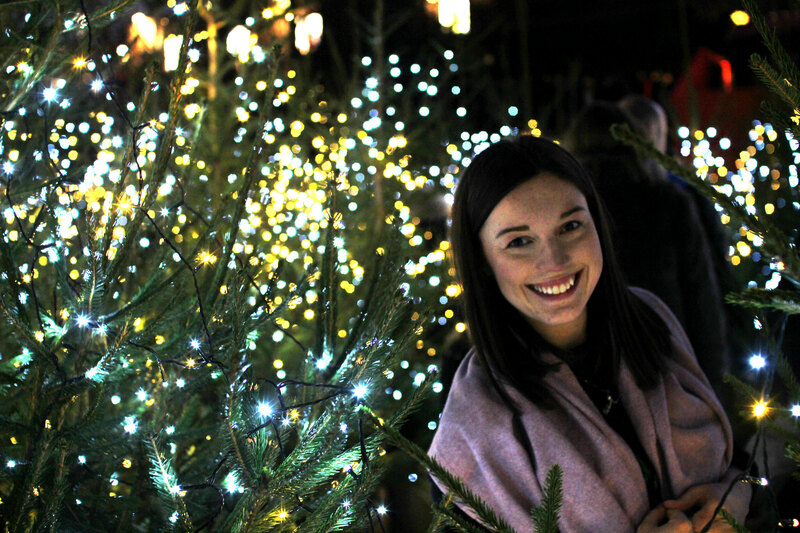 If you’ve still got room, head over to the Bothy pop up bar in the middle of the market for some mulled wine or warm apple cider. 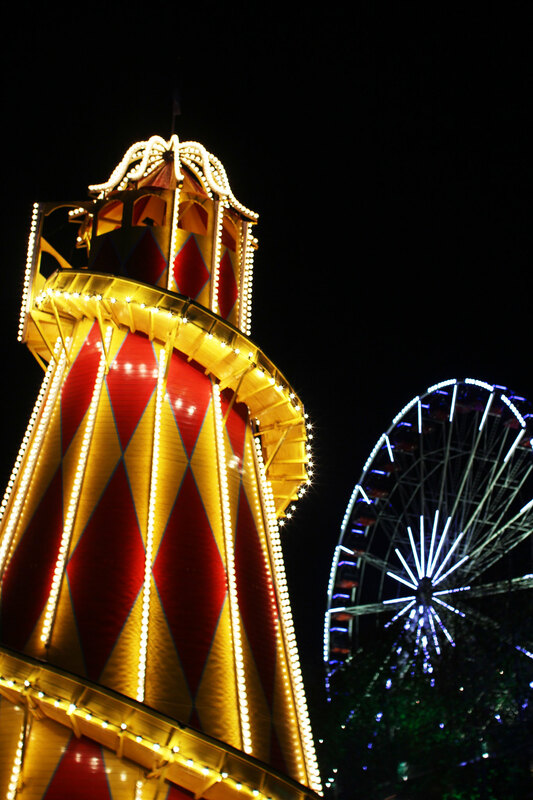 Head up to the top of the bar for a great view over the Christmas Markets. 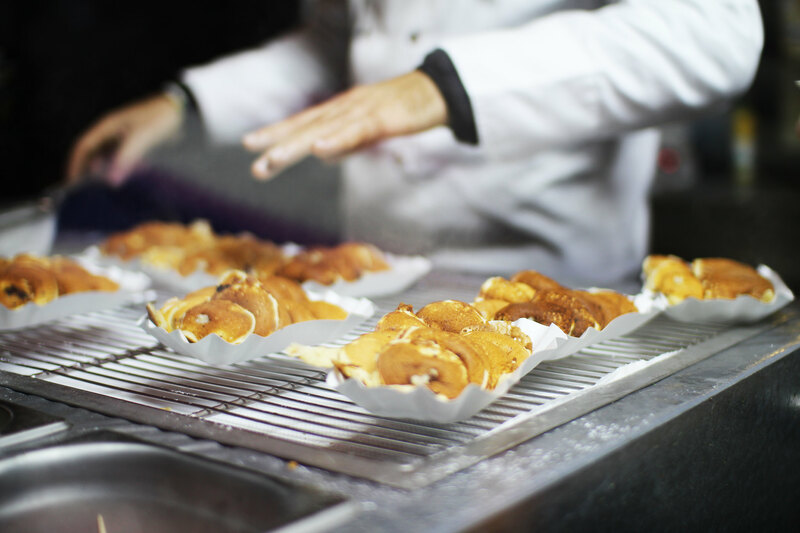 As if that wasn’t tempting enough, try some mini Dutch pancakes or waffles with Nutella for a sweet finish, yum! 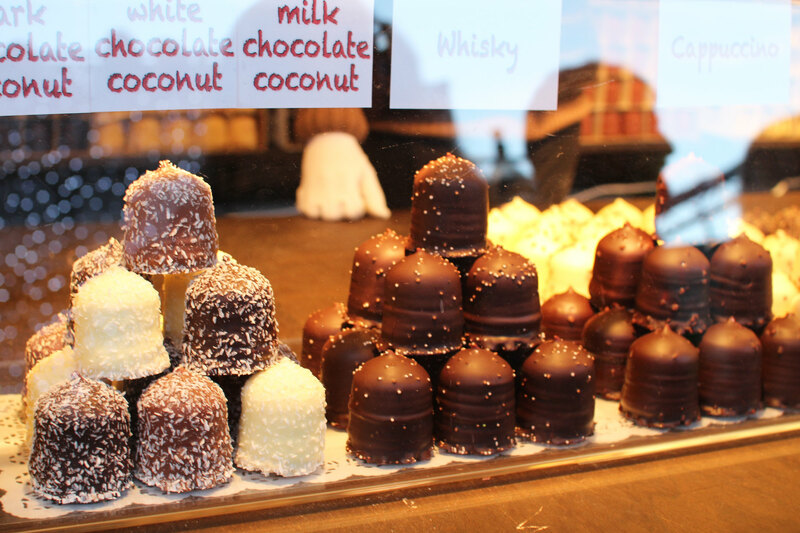 Also keep your eye out for some unique dipped marshmallow domes. 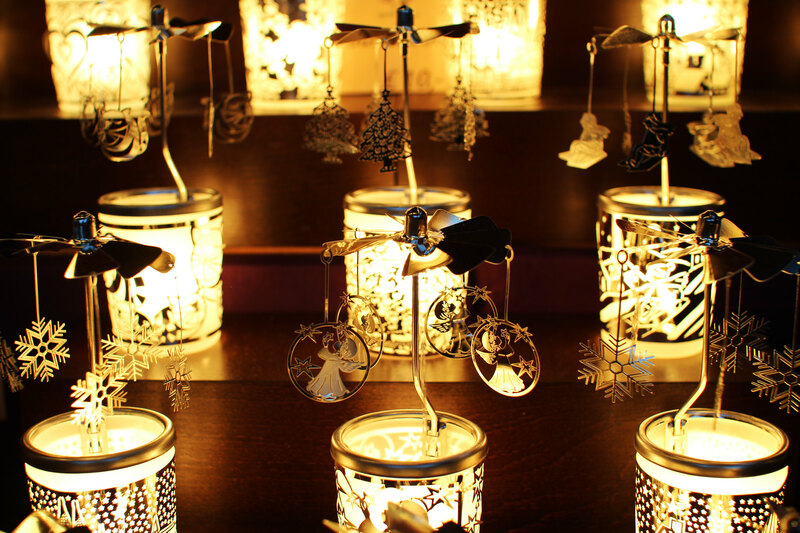 Are you a fan of the Christmas Markets? 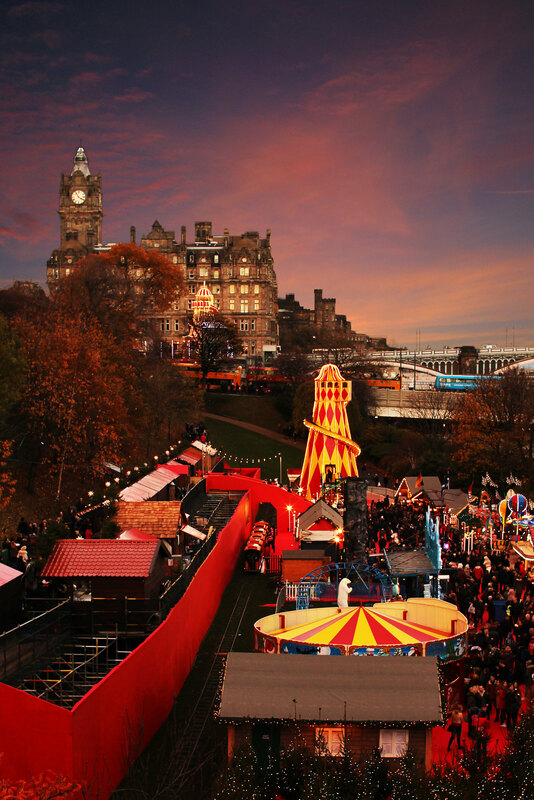 Will you be heading to Edinburgh this Christmas?